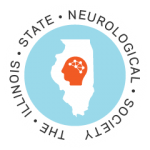 Welcome on behalf of the Illinois State Neurological Society. Our society’s mission is to promote best practices and education in neurology as well as to advocate on behalf of neurologists and patients with neurological conditions. Any physician specializing in neurology is eligible for membership. At the current time, there are no dues for membership. Please see our events page for our upcoming educational opportunities. Copyright © 2019 Illinois State Neurological Society. All rights reserved.